A specialist level qualification providing expert level knowledge in all aspects of wine and spirits. The WSET Level 4 Diploma is WSET’s flagship qualification and will provide you with an in-depth knowledge and understanding of wines and spirits. Topics covered include wine and spirit production, wine regions and styles, and the global trade in wines and spirits. The diploma is also universally viewed as the stepping stone to the Master of Wine qualification. Upon successful completion you will receive a WSET certificate and lapel pin, and will be able to use the post-nominal DipWSET and associated WSET certified logo. 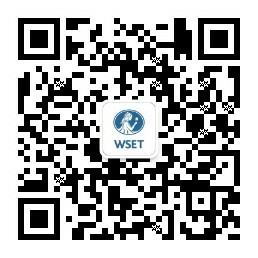 The WSET Diploma has played an invaluable role in my professional development. I encourage anyone who is serious about a career in the wine trade to pursue this qualification. Assessment is by a coursework assignment and a theory exam. Both are based on topics chosen by the examiners. Assessment is by a multiple-choice exam paper of 100 questions. Assessment is by two tasting exams and one theory exam. Students are required to assess 12 wines using the WSET Level 4 Systematic Approach to Tasting Wine® and complete five long-written answers. Assessment is by a combined theory and tasting exam. Students are required to assess three spirits using the WSET Level 4 Systematic Approach to Tasting Spirits® and complete three short-written answers. Assessment is by a combined theory and tasting examination. Students are required to assess three wines using the WSET Level 4 Systematic Approach to Tasting Wine and complete three short-written answers. You must be over the legal minimum drinking age for alcoholic beverages in the country where the course and examination is taken. You will be required to hold the WSET Level 3 in Wines and Spirits, Level 3 Award in Wines or an equivalent wine qualification to enrol on the WSET Level 4 Diploma. The WSET Level 4 Diploma in Wines and Spirits will be permanently withdrawn on 31 July 2019, with the launch of the new WSET Level 4 Diploma in Wines on 1 August 2019. All students enrolled on the current Diploma will be automatically transferred to the WSET Level 4 Diploma in Wines in September 2019. Spirits will not be part of the new Diploma, but there will be one final Unit 4 Spirits examination for resit-only candidates in March 2020. All students transferring with a pass in Unit 4 or who gain a pass in March 2020 will graduate with the WSET Diploma in Wines and Spirits upon completion of all Units.